A few people (including my Mum) have asked where we got the photograph that appears on the front cover of this month’s Inspires magazine, the magazine of the Scottish Episcopal Church (SEC). 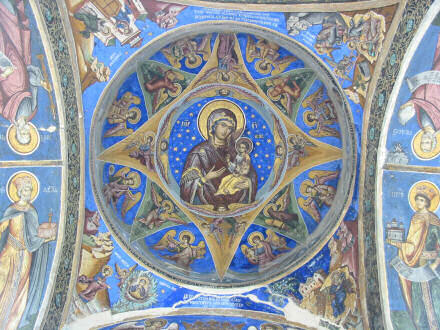 The photograph is of a painted orthodox church ceiling at Tismana Monastery in Romania. It is royalty free and carries no restrictions. The photograph, that is. I suspect that the monastery requires a little more discipline from its users. 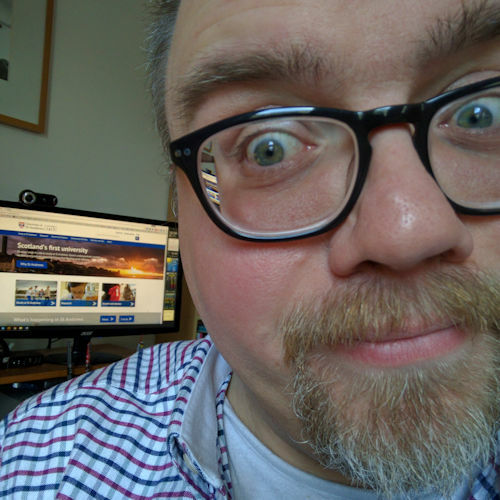 Previous Previous post: Which … are you? Next Next post: Mum’s garden bench got stolen!